Police and sheriff's deputies caught and arrested a 22-year-old who broke in to a home and stole tools, then rode off on a stolen motorcycle. 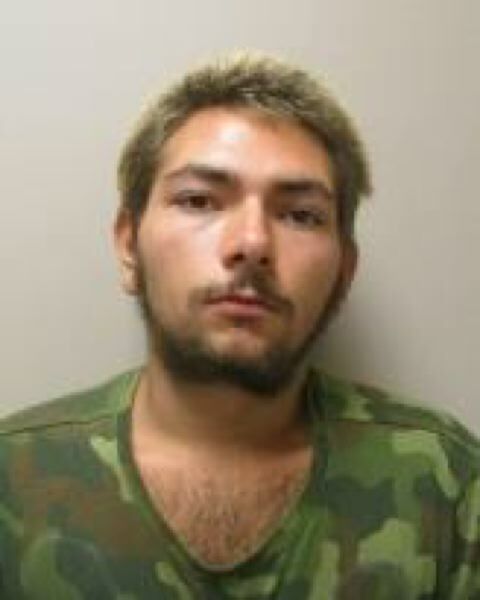 David C. Blevins, 22, was arrested Tuesday, Sept. 4 in Scappoose after a man reported to police that he had just arrived home around 10 a.m. that day, to find his house was being burglarized, court records show. The homeowner noted a green Geo Metro parked in his driveway. Blevins is charged with stealing a motorcycle from the home on East Columbia Ave. in Scappoose, after stealing tools from the garage of the property. After Columbia County Sheriff's Office deputies and Scappoose police officers responded to the burglary in progress, Blevins was spotted not far from the home and arrested on Elm Street in Scappoose. In all, seven law enforcement officers from two agencies responded to the call. According to court records, Blevins also broke into the same home twice during the two days prior. Blevins remained in Columbia County Jail Thursday afternoon on $105,000 bail for charges of burglary, theft and unauthorized use of a motor vehicle, including five counts of second-degree burglary.